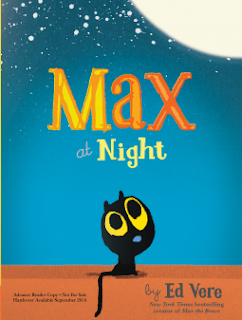 Reviews in Chalk is hosting today the Max at Night Blog Tour. I reviewed this book by Ed Vere for the first time nearly 5 months ago, and it is still a favorite bedtime story. It is so calming! I hope you give it a try and enjoy it too!